Game description: Another installment in the Daisenryaku series. 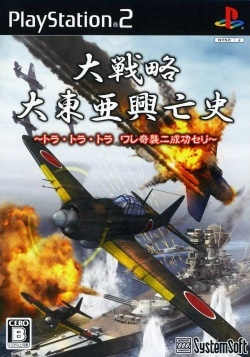 Daisenryaku is a popular World War II turn-based strategy series that allows you to take control of different countries as they vie for power. This installment bring additional battles to the Pacific Ocean, such as Mizo Bridge Battle. There are two campaign scenarios for the Japanese and US military, with more than 130 maps and battles. This page was last edited on 18 April 2019, at 01:55.